and we all had a blast. The trip that we had planned promised to be a tough event that would require all our off-road driving and navigation skills that we have picked up over the years for the duration of the next few days. 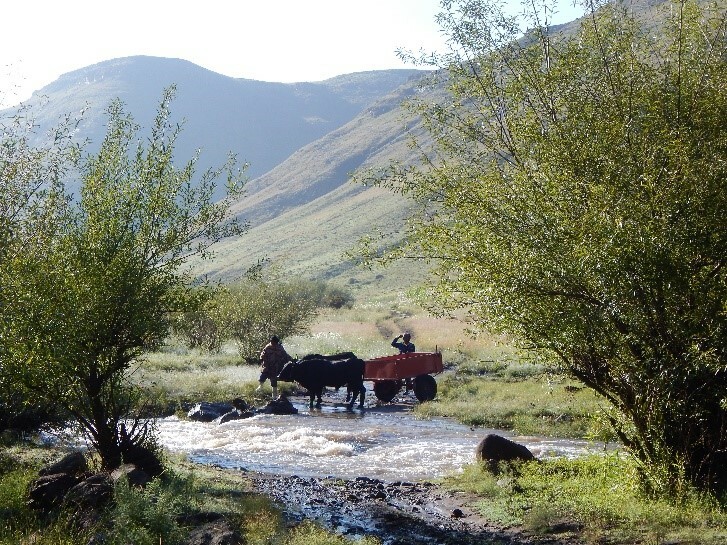 We were going to be traversing the Maluti Mountains and rivers from Semonkong to Tlokoeng. 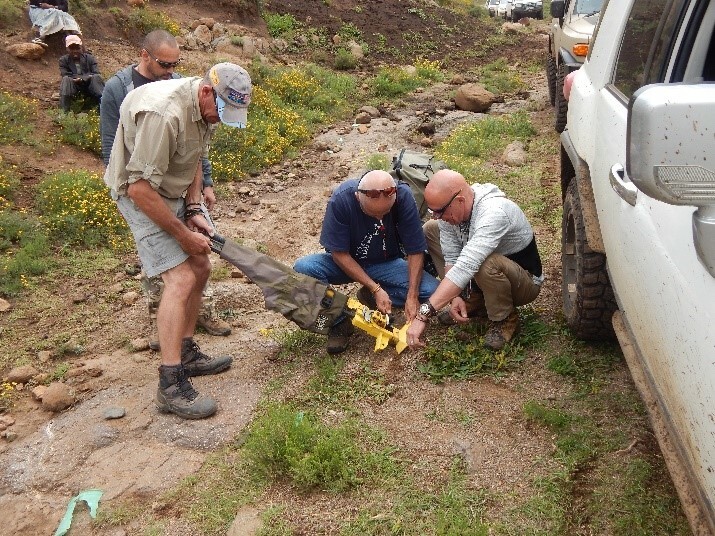 Mostly on tracks and paths which in places become impassable and all too often requires a team effort of road building before we are able to progress further. It’s an off-road adventure, and that’s why we are here. 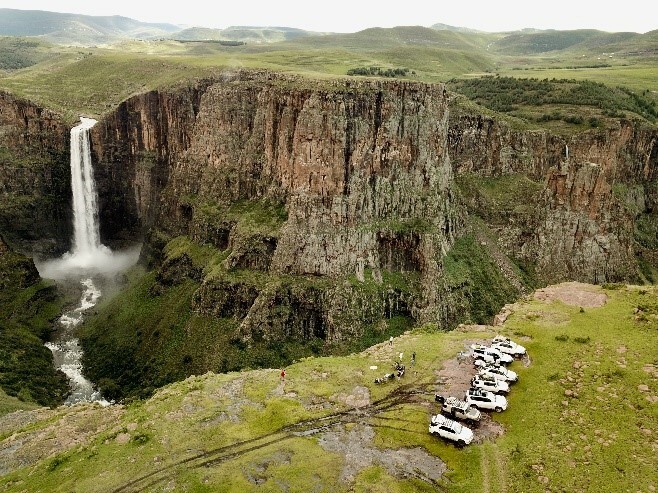 We arrived at Semonkong on the Friday at around lunch time to the constant down fall of rain, but we did get out to take in the view of the awesome Maletsunyane falls, the highest in Southern Africa. They are single drop falls of 212 meters which is a fantastic sight to see, especially at times like this when the river’s levels were all swollen and already threatening to drown the low concrete bridge going into the lodge. Saturday afternoon we had a short respite from the rain which thankfully gave us enough time to head off into the village on our traditional donkey pub crawl for a quick pub crawl. We trek into the local village and visit three different taverns taking in one of Lesotho’s finest Maluti Lager’s at each one. Sometimes we get lucky like this day, where the taverns fridges have only the quart bottles left on the shelf. No fear though, this is what a Semonkong donkey pub crawl is all about. Sure enough we had our tumbles off of the donkeys on the return trip but fortunately for us, no broken bones, only ego’s and muddy clothes. The following day, with more rain, we set off for our first night out on the banks of the Senqu River. The camp was only around 28kms away and if all goes well, we should reach there within 4 or so hours, this is on a dry sunny day when conditions are good. A combination of the rainy days, the muddy tracks and the mountain side slopes ensured that for safety reasons, we called the first nights destination off. The chances of someone sliding off the edge of the mountain down into the valley below had become very real and in the name of safety first we all agreed that the decision to bypass this route was the best one. We had not even reached the usually tough part of the trail yet and already things had become treacherous. This meant that we would leapfrog the first night camping spot and head straight to the night after’s camp site. 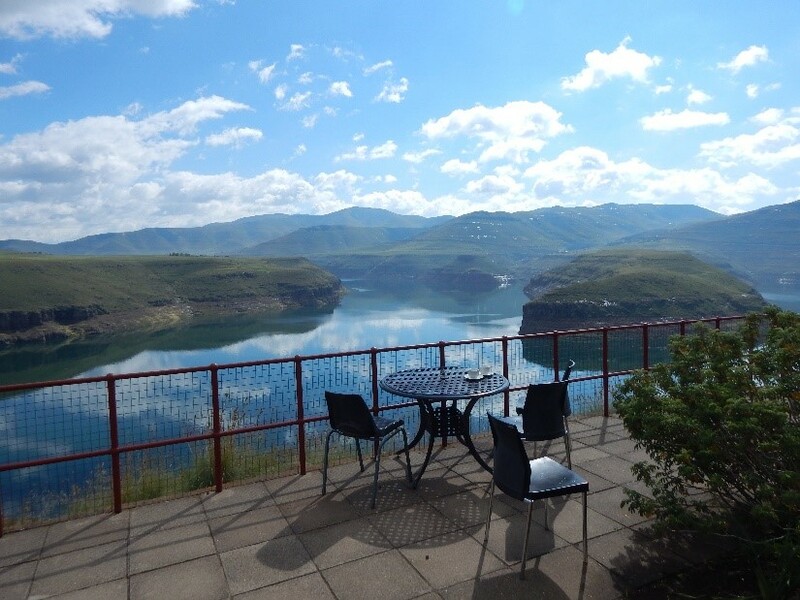 This meant a lengthy detour halfway back to Maseru and then via Thaba Tseka to Katse dam. Other than the last 60 kilometers from Thaba Tseka to Katse, it was tar all the way. The tar usually allows for quicker driving but a combination of low cloud and misty conditions ensured that we moved along at a much slower speed that we would have liked to travel at. Unfortunately it also meant that we were to miss the fantastic scenery as we traversed Blue Mountain, Jackal and God help me passes of which the peaks of these passes are all between 2400 and 3000 meters. With the roads now all tarred, Slide on your arse pass does not really live up to its name any longer, thankfully for us in these conditions. 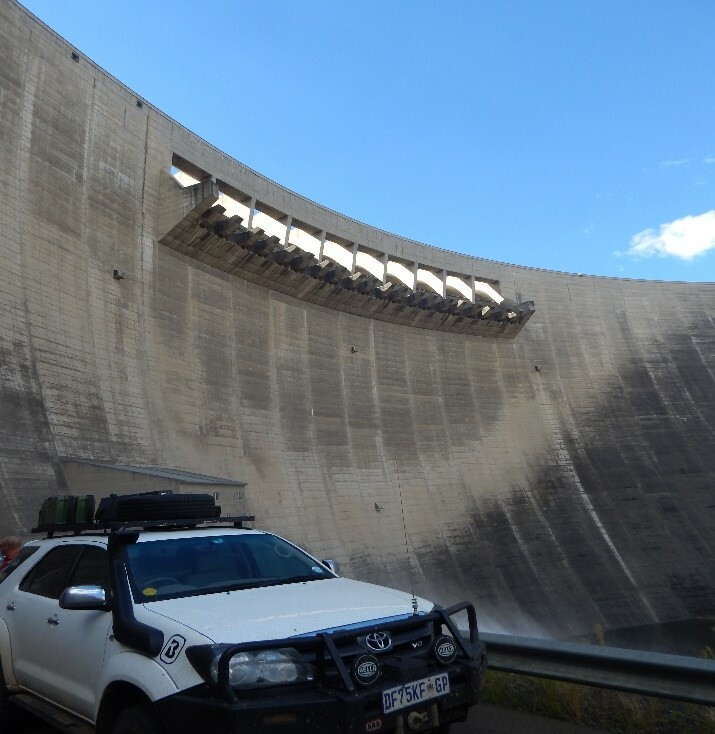 Because we were a day early at out Katse camp site it means that we were able to take in the Dam wall tour and a boat cruise on the dam, which normally, due to time constraints we are unable to do. The dam wall tour is certainly worthwhile if ever you are in the area, it kicks off with a an interesting talk on all the facts and figures of the tunnel system, the dam system which includes Mohale and the new Mkhotlong dam project which will link up with the other two dams. All this water is destined for Gauteng, which if it does not happen could reach day zero by 2030. The level at Katse was down by probably 8 meters, but with the rainfall and just recently being linked up with Mohale, the water level was rising quite rapidly. Since completion date, the dam has never yet overflowed although it has been very close to 100% full on occasions. Once the dam has filled up, it would have a depth of 185 meters at the dam wall, a deep dam indeed. 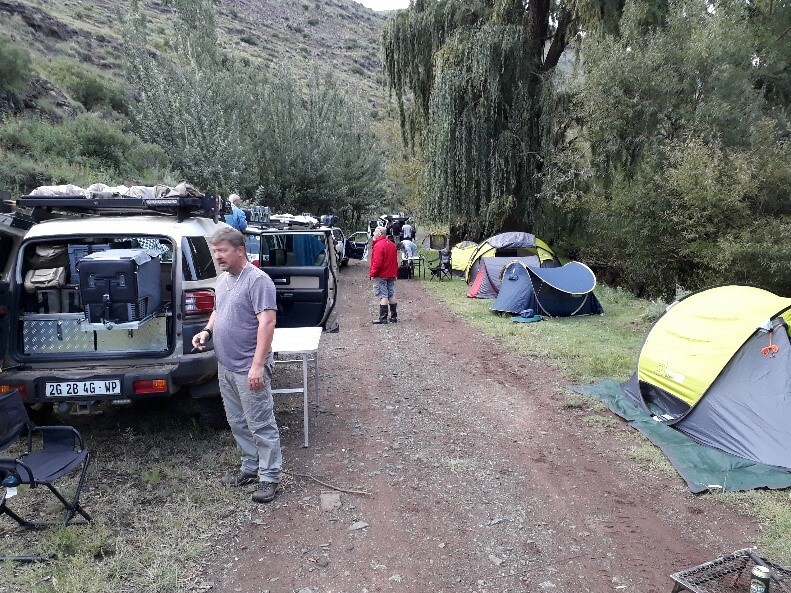 After two splendid nights of camping on the Malibamatso River just a kilometer downstream of the dam wall, we were ready for the final day’s adventure. distance and are just fascinated by what we have and how we go about setting up camp. After giving them a soccer ball, they left us for their new found form of entertainment. We have a rule, once in camp we never hand anything out on the day, we always promise them that once we have broken camp in the morning, they will get what we no longer require. Being the last night out, they usually do quite well in the morning once we drive out. The day’s drive to the Khubelu camp certainly lived up to its expectations with lots of really good low ratio, rear diff-lock and traction control 4x4ing along the way and of course a bit of road building here and there. 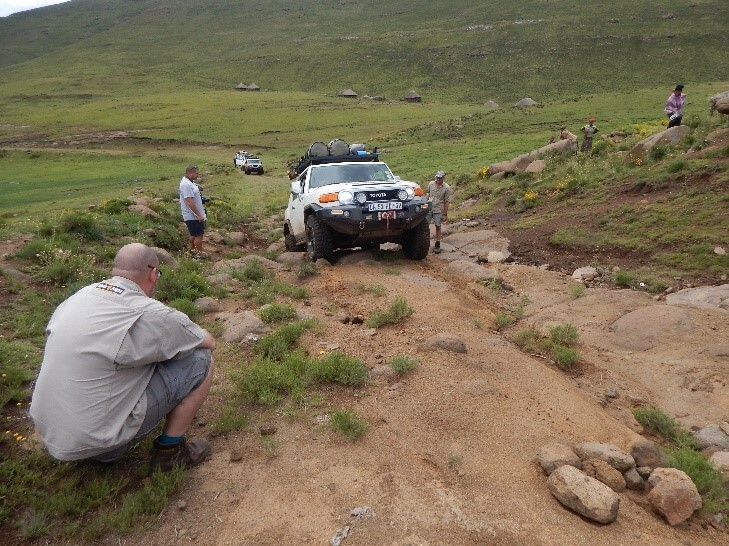 One puncture along the way had some of us keeping in with our Hi – Lift jacking skills and with many eager hands and comments from the rest, it did not slow the convoy down for too long. difficult life by handing out clothing and pens and paper where possible. Unfortunately there are only so few of us and so many of them, but I guess that every small bit helps. This is a true 4x4 and camping adventure fairly close to home. We take this trip at least once a year and vehicle should have a minimum of Rock sliders, no nudge bars or drop plates and ideally a suspension lift and front bumper replacement bar.